Impress your clients and customers with a relaxing journey in a Tata Winger designed with a host of world class features offering the combined comfort of a car along with the spaciousness of a bus. As a tourist vehicle, the Winger is available in the following variants - Winger Deluxe 12+D, 13+DWinger Luxury 9+D and Winger DICOR 9+D, 12+D, 13+D. A Winger 15 S has also been launched recently. 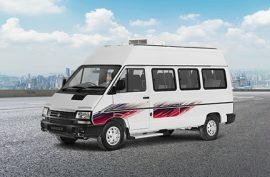 Whether you are catering for picnic groups, wedding parties, airport travel or family trips, Tata Winger is among the best passenger vans capable of accommodating upto 13 passengers at a time. 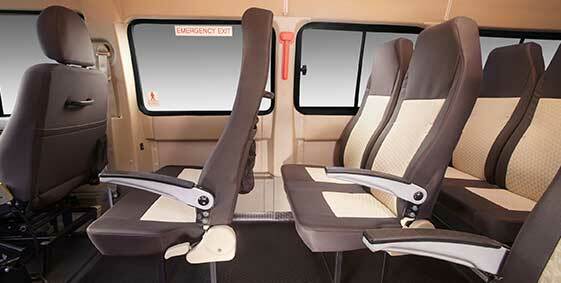 Its adjustable seating options are flexible enough to create space for additional luggage. 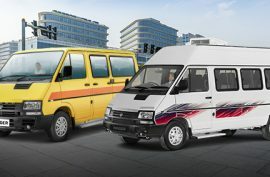 Both its engine and driveline compartment are compressed in a way to maximize the travel space for the passengers. 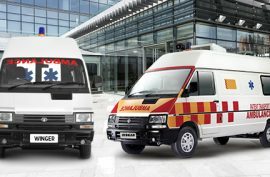 While travelling in extremely hot conditions, the Winger is capable of maintaining sustained, uniform cooling, thanks to its upgraded roof mounted AC with 6 air vents and lower noise levels. The Winger 15 S has 13 individual AC vents. During long distance journeys, tourists can relax comfortably on 9 front-facing, reclining bucket seats with adjustable head rest and arm rest. 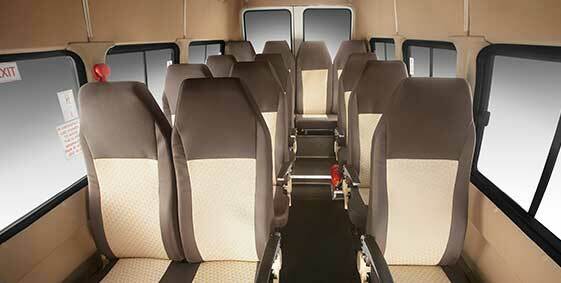 Your clients are assured to get utmost comfort on the cushioned seats made of soft dual tone PVC. Front independent suspension, anti-roll bars with hydraulic shock absorbers along with an internal height of 1900 mm keeps the drive smooth with zero jerks and also passes easily through narrow roads. So whether the journey is local or distant, the Winger minivan performs exceedingly well making the experience enjoyable in every respect.